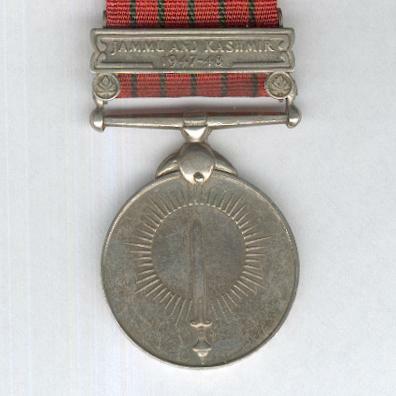 Circular cupro-nickel medal with claw and bar suspension and with original ‘JAMMU AND KASHMIR 1947-48’ clasp; the face with the haloed upright Bhavani Talwar (sword) of Shivaji the Great; the reverse with a central lotus flower in bud circumscribed ‘GENERAL SERVICE INDIA’; attributed on the edge to ‘665 L/NK. BIJJAN, J. 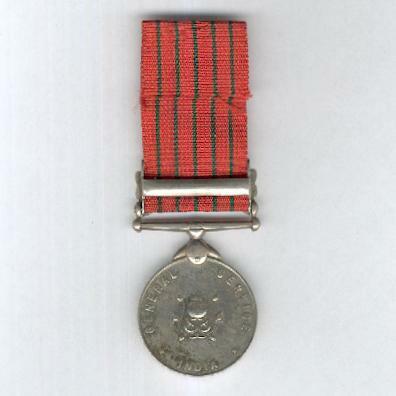 & K. (A.T.) S.F.’; on replaced correct ribbon. 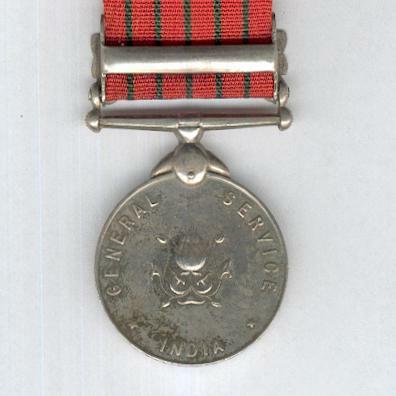 The medal was instituted by the President of India on 5 June 1950 for active service. 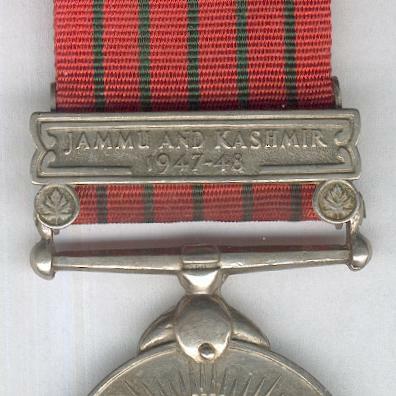 The Jammu and Kashmir 1947-48 clasp was instituted that same day to be awarded for one day’s service in specified actions during the first Indo-Pakistani war, 24 October 1947 to 1 January 1949, or for 180 days’ service otherwise in the region. Air Force personnel qualified with five operational sorties or twenty hours of flight time. Bhavani is a warlike aspect of the Hindu goddess Parvati who is reputed to have given a sword to the great Maratha ruler Shivaji (1627-1680). The sword is now in the Armoury at Windsor Castle, though the Royal Collections appear to dispute this, perhaps to avoid the prospect of returning it. 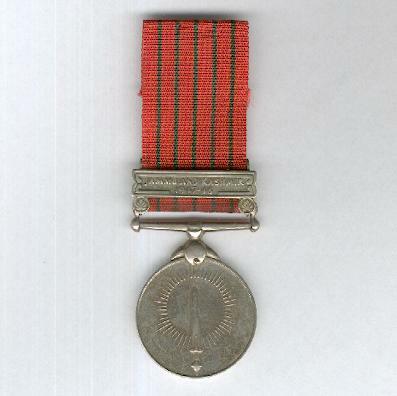 The medal was superseded by the Samanya Seva medal.